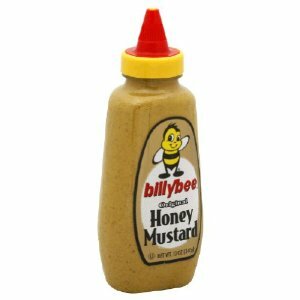 If I need honey mustard for a sandwich or just about anything else, this is my go-to. Made by the Canadian company Billy Bee, it simply blows other grocery store HMs out of the water. I consider this to be a "true" honey mustard, in that it's made with brown mustard, as opposed to yellow. I use it at least 2-3 times per week, mostly on turkey and chicken cold cut sandwiches or subs. It's also pretty good on fried foods (especially chicken tenders) as well as pork dishes. If you're using one of the lesser store-bought brands, give it a shot.